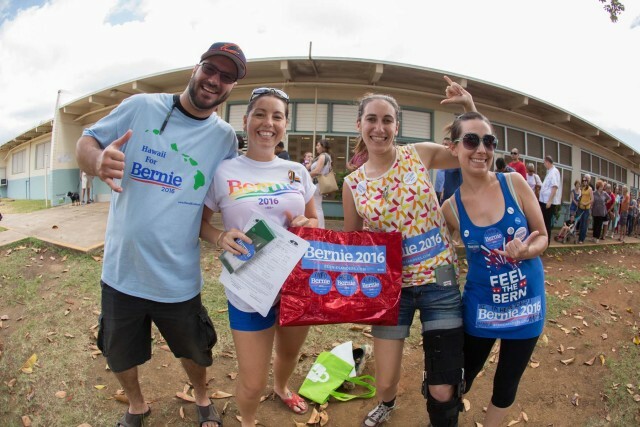 Three years ago this week Bernie Sanders trounced Hillary Clinton 70 percent to 30 percent in the Democratic Party of Hawaii’s presidential preference poll. The landslide was a victory for younger and more progressive Democrats who strongly favored Sanders, the independent U.S. senator from Vermont, over Clinton, the former secretary of state and the party’s all-but-crowned nominee. It was an embarrassment for the more established party members. We know how things turned out. Clinton won the nomination anyway and then lost to you-know-who in the general election (although she defeated Donald Trump by a greater percentage in Hawaii than in any other state, including California). A year from now, probably on April 4, local Democrats will hold their preference poll again, something that was mistakenly described at the time by some media (and still is today) as a caucus. 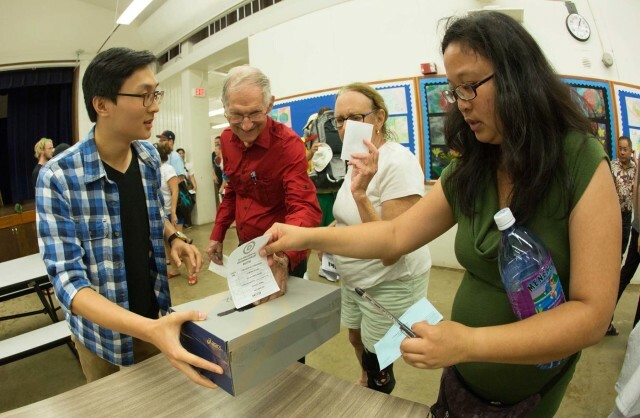 Hawaii Democratic presidential preference poll voters drop their ballots in a shoebox at Stevenson Middle School in Makiki in March 2016. But the way the poll is conducted in 2020 will almost certainly be significantly different than in 2016. On Tuesday, the party issued a press release asking for public comment on the delegate selection process. The proposed plan, which can be viewed in detail here, is intended to make sure all Democrats who want to have a say in selecting their nominee do indeed have a say. To that end, the proposals include the possibility of sending out absentee ballots to all active party members. Same-day voting and party registration would also be provided on polling day. There is even the idea to offer a ranked-choice ballot where voters can rank their top three preferences. Under that system, a voter’s top pick may not ultimately prevail, but their second or third pick could win, depending on how other voters rank their preferred candidates. And there is discussion of electronic balloting, too, so long as it is secure and affordable. “We are working to ensure that every voter is given the chance to cast a ballot and make a difference,” Party Chair Kealii Lopez said in the press release (which was emailed on Prince Kuhio Day, named for a Republican who spent 19 years in the U.S. Congress before his death in 1922). The party has asked for feedback by April 24. The final plan will then be submitted to the Democratic National Committee, which called for the reforms, by May 3. There are factors at play that could critically alter the plan. For one, it’s estimated that mailing out ballots would cost $250,000. That’s a high hurdle for a party that brings in just $400,000 annually from dues and contributions. A presidential preference poll runs only around $50,000. There is also the question of who to send the ballots to. It’s estimated that Democrats have 90,000 official members statewide, but it’s unclear how many have died or moved away. In the 2016 poll, about 34,000 ballots were cast, suggesting a whole lot of Democrats stayed home. Bernie Sanders supporters were enthusiastic for the candidate during the Democratic Party presidential preference poll in 2016, which he won handily. 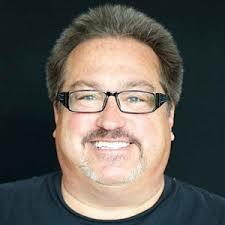 Bart Dame, the party’s national committeeman who also is on the committee to draft the delegate proposal, said there are concerns about identifying voters and making the mail-in process secure. What is also important to Dame, who spearheaded the Sanders campaign in 2016, is that party members want to feel their participation is appreciated. “We sincerely want to have a more inclusive process,” he said. Donald Koelper, party chair of the East Oahu region that runs from Kalama Valley to Diamond Head, would prefer a primary rather than a poll or a caucus. Koelper pointed to what happened in Washington state in 2016, which had both a Democratic caucus and a primary. The reason for not favoring a primary in Hawaii is also based on cost — about $2.2 million. Koelper said both parties would also have to agree to holding a primary, and the State Elections Office would likely have to be involved. What’s also different in 2020 versus 2016 is that the DNC moved last year to reduce “the role and influence of powerful political insiders” in the presidential nominating process, as The New York Times reported. Party insiders known as superdelegates, free to back whichever candidate they choose regardless of the public vote, are no longer allowed to vote during the first nominating ballot at the convention. The change was sought by Sanders supporters like Dame. 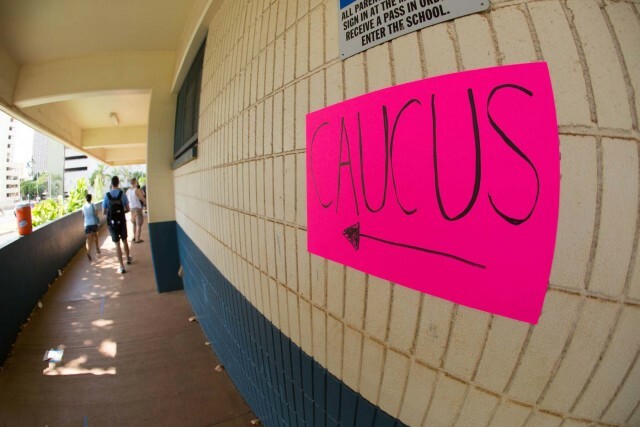 Is it worth it for Hawaii to participate in the presidential primary process? While the 2020 schedule is in flux, the decisive Iowa caucus and New Hampshire primary start things off in early February, followed by the Nevada caucus and South Carolina primary later that month. On March 3 — Super Tuesday — voters in California, Texas, Massachusetts and seven other states will go to the polls. Based on past elections, many Democrats will almost certainly drop out of the race by then. Based on current polling, Hawaii Democrats may not even get to vote for one of their own, U.S. Rep. Tulsi Gabbard. The presidential candidates do think Hawaii and its four electoral votes are important, however. Donald Trump gave interviews with local media on his way to sweeping the Hawaii Republican caucus in 2016 and picking up the lion’s share of the state’s 19 GOP delegates. Jane Sanders, Bernie’s wife, campaigned in the islands, helping her husband to scoop up 17 delegates to Clinton’s eight. All told, Hawaii Democrats in 2020 will have 31 delegates and two alternates. If the national party has a contested convention in Milwaukee next year, every vote will count.